Santa is thinking hard about who is naughty or nice. 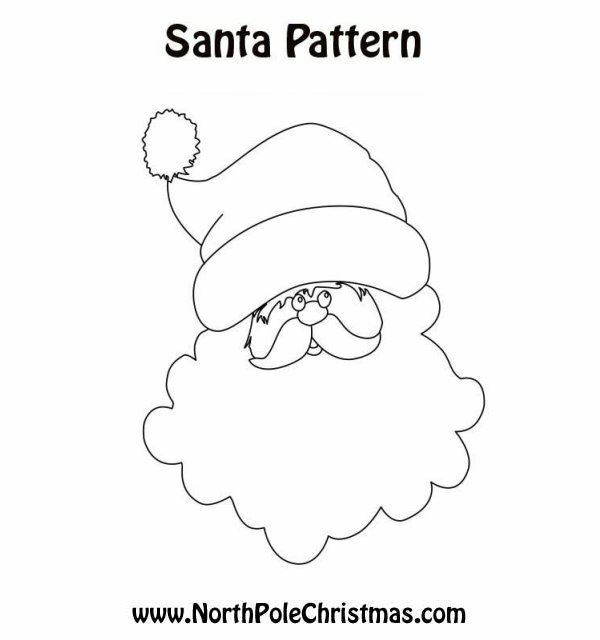 Black and white template of a Santa face - free, printable. A whimsical version of Santa for crafts, coloring.